Having worked in the automotive repair industry and on Saab cars since 1980, Chris McGuinness CAE, MIMI, has an excellent understanding of all aspects of car repair and maintenance, particularly with Saab vehicles. From Guildford to Greater London, it’s easy to reach Saab specialist Surrey by the Tolworth exit off the A3 Kingston by-pass. Tolworth train station is only five minutes’ walk away – leave your car safe with him while you go to work. 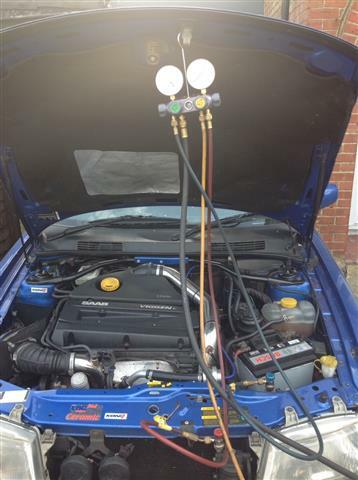 Chris McGuinness CAE MIMI, is IMI qualified and certified to handle air conditioning for all makes of car.